Christian mother likely headed to Canada with her husband, lawyer says. ISLAMABAD, Pakistan (Morning Star News) – Pakistan’s Supreme Court today upheld its acquittal of Christian mother Aasiya Noreen (better known as Asia Bibi), leaving her free to leave the country after spending nine years on death row in Pakistan’s most high-profile blasphemy case. The mother of two children and stepmother to three others has been in protective custody since her release from prison on Nov. 7. She was acquitted on Oct. 31. Informed sources said Noreen’s two daughters are already in Canada after they were granted asylum earlier this month. A paternal cousin of Masih, Joseph Nadeem, has been caring for them there. Malook said it was in Noreen’s best interest to leave Pakistan in the face of danger from Islamist extremists. He called the Supreme Court’s rejection of the challenge against its decision to acquit the 53-year-old Noreen a victory for Pakistan’s constitution and rule of law. He added that the top court’s verdict should act as a deterrent against the filing of fake cases involving a subject as sensitive as blasphemy. The Islamist extremist Tehreek-e-Labbaik Pakistan (TLP), which led violent protests demanding Noreen’s execution after her acquittal last year, called for its members to be ready for action in a press statement. Although most of its top leaders, including firebrand clerics Khadim Hussain Rizvi and Pir Afzal Qadri, remain in detention after a government crackdown, some TLP members who did show up for the hearing in Islamabad on Tuesday (Jan. 29) reiterated their call for violence against Noreen. During the hearing, newly-appointed Chief Justice Asif Saeed Khosa dismissed the review petition filed by Qari Muhammad Salaam, who was also the complainant in the case. 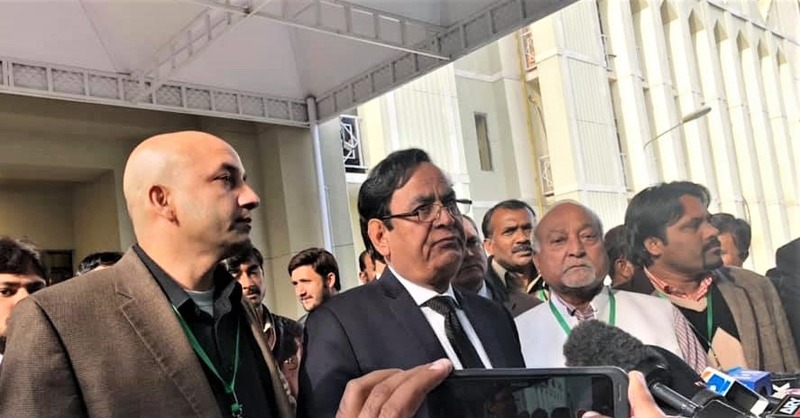 Heading the three-judge panel including Justice Qazi Faez Isa and Justice Mazhar Alam Khan Miankhel, Chief Justice Khosa observed that Salaam, was unable to pinpoint any mistake in the acquittal verdict. He inquired if the verdict was not given on merit, asking the petitioner to pinpoint mistakes in the earlier verdict. Islam says that a testimony should be true even if it incriminates a person’s own loved ones, the chief justice added. “An FIR [First Information Report] lodged five days after an incident is suspect,” he added, referring to the report that formed the basis for the prosecution. He also noted that testimonies differed in their account of the size of the crowd that gathered following the blasphemy allegation, and their location. The lawyer countered that late registration of the FIR does not necessarily mean ill intention. 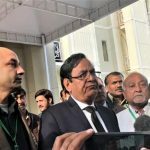 The investigative officer said that female witnesses changed their statements, the chief justice said, noting that the testimonies of the investigative officer and the witnesses differed. Noreen was sentenced to death in 2010 in what swiftly became Pakistan’s most infamous blasphemy case. Blasphemy remains a massively inflammatory issue in Pakistan, where even unproven accusations of insulting Islam can spark lynching. Many cases see Muslims accusing Muslims, and rights activists say blasphemy charges are frequently used to settle personal scores. Minorities, particularly Christians, are often caught in the crossfire. The allegations against Noreen date back to 2009, when Muslim women accused her of blasphemy against the Muhammad, prophet of Islam, a charge punishable by death under Pakistan law. Noreen was harvesting berries with a group of Muslim women when a row broke out over a bowl of water. The Muslim women said that because she had used the bowl, they could no longer touch it, because her faith had made it unclean. Prosecutors alleged that in the ensuing argument, the women said Noreen should convert to Islam. Noreen’s response allegedly included comments offensive to Muhammad, prosecutors claimed. Accusers said she confessed to blasphemy while being beaten, and police arrested her. The ensuing case elicited support from international rights groups, politicians and religious figures. In January 2011, former Punjab Gov. Salmaan Taseer, who spoke out in support of Noreen, was gunned down in broad daylight in Islamabad. His assassin, Mumtaz Qadri, was executed in 2016 after the court found him guilty of murder. He was hanged in February 2016. The TLP was founded by extremists who believe Qadri’s hanging was unjustified. Only two months after Taseer’s killing, the only Christian minister in the federal cabinet, Shahbaz Bhatti, was also gunned down by members of Tehreek-e-Taliban for supporting Noreen and for advocating that Pakistan’s blasphemy laws be amended. Pakistan ranked fifth on Christian support organization Open Doors 2019 World Watch list of the 50 countries where it is most difficult to be a Christian, and on Nov. 28 the United States added Pakistan to its blacklist of countries that violate religious freedom.